Get together about 70 of your closest friends, add in hair styling and sprinkle with Swarovski jewels and you have the perfect event! With the holidays upon us, our ‘Between Amigas Birthday Bash’ was the perfect time to show off just want our friends at Blo Hair Dry Bar can do, what amazing jewels Swarovski has in stores and just what you can dream up with a little creativity and Party City. 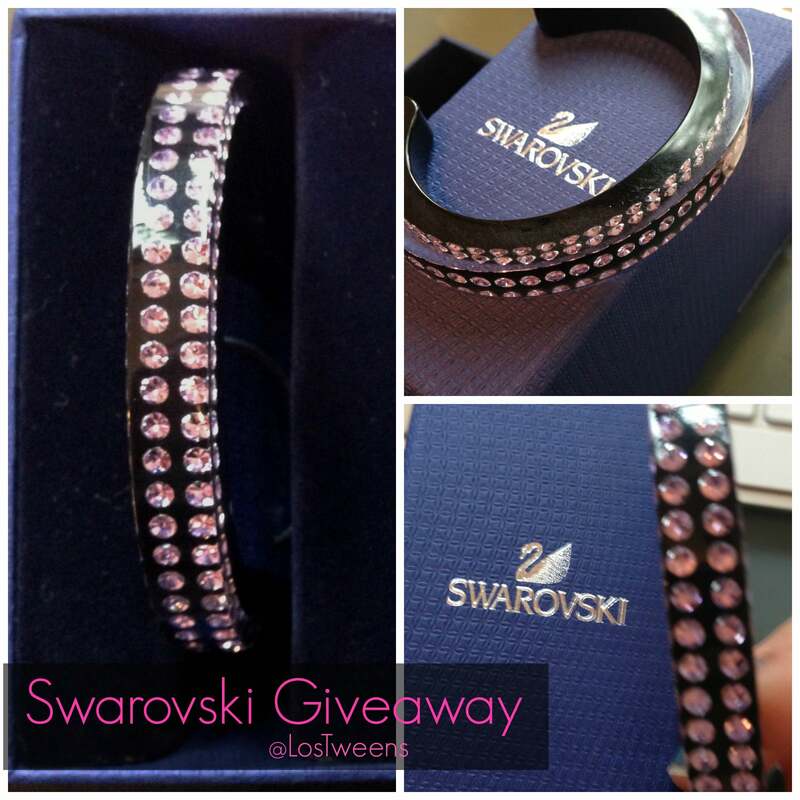 And while we’ll get to all of these great sponsors and more in future posts, we wanted to let you – our readers – in on some of the fun we had with a Swarovski giveaway. Here are just a few photos from the event and be sure to scroll down for the giveaway information! All of the beautiful Swarovski jewels! Be sure to visit www.swarovski.com this holiday season! 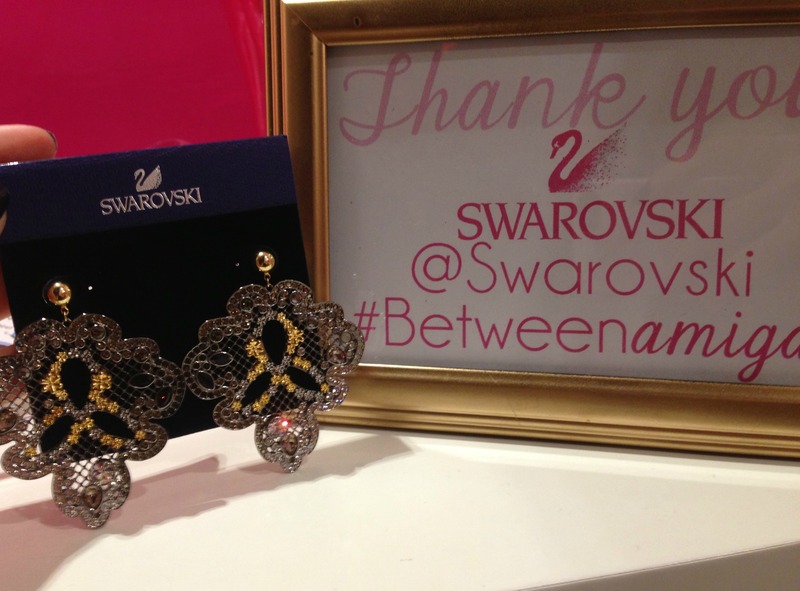 No one was happier than our guests to receive a Swarovski gift! 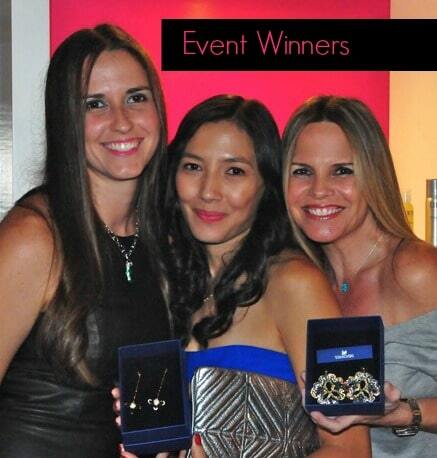 The Swarovski pieces were such a hit with the ladies at the event that we know they will top any woman’s holiday list. GIVEAWAY: In honor of Swarovski’s #BangleMania, we’re giving away a violet resin bangle perfect for stacking! We’re also getting ready for the holiday season and what better gift to receive than a little sparkle. AND be sure to visit our friends at Swarovski and follow their conversation this holiday season on Twitter with the hashtag #Moments2Give. This entry was posted in Product Reviews and tagged beauty, giveaway, jewelry, Swarovski. Bookmark the permalink.